The four band members met in Mandeville, Louisiana, a small suburb north of New Orleans, and within 15 months were signed to a record deal with Wind-up Records. Lead vocalist Paul McCoy was previously featured in the Evanescence single "Bring Me to Life", which later went on to win a Grammy Award for Best Hard Rock Performance in 2004. Recently, "We Are One" was used by WWE as the theme song for the renegade faction formed by the NXT first season graduates known as The Nexus. The song also was used as the opening to each ACC Network telecast of the 2011 ACC men's basketball tournament. The Washington Capitals NHL hockey team also uses the song in the 2010-2011 season video played at the start of their home games in the Verizon Center. On August 24, 2010, the band announced that they were leaving Wind-Up after nine years, stating �We felt it was time for a change. 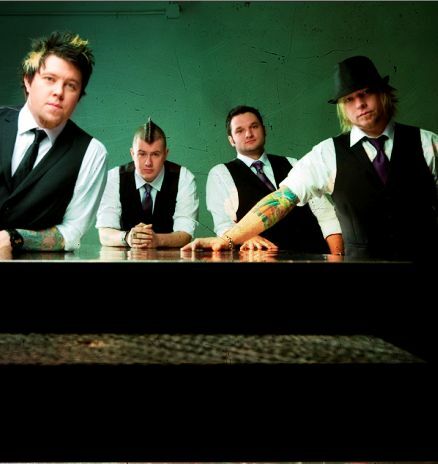 We have a vision for this band that we feel is best pursued elsewhere.� On December 30, 2010, 12 Stones announced via Twitter and Facebook that they planned to release a new, full-length album in 2011.